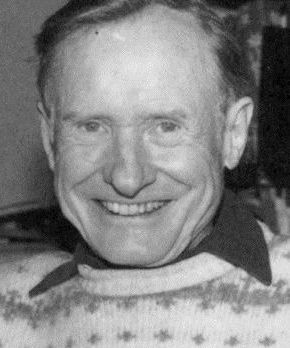 It is with great sadness that we announce the untimely passing of Emeritus Professor Donald Patterson at age 89. Donald Patterson was born on October 13, 1927, in Montreal where he excelled at school, first at Selwyn House and then at Westmount High. In 1944, he placed first in the province in the Quebec high school final exams. He went on to study Mathematics and Physics at McGill University (B.Sc. ’48 ; M.Sc. ’50), and then chemistry for his PhD at the University of Bristol, England (1950-1953). After further research at the National Research Council (Ottawa), 1954-1956, he held academic positions at the Département de Chimie, Université de Montréal, 1956-1963. Following a visiting professorship (1963-1966) at the Centre de Recherches sur les Macromolécules, Université de Strasbourg, he returned to McGill University in 1966, where he was Professor of Chemistry until his retirement in 1993. Donald was highly productive, having published more than 160 papers in the open literature and turned out some of the best graduate students that this Department has seen. He was known internationally for his major contributions to theoretical and experimental studies of polymer solution thermodynamics, and various aspects of applied polymer science and technology. Among his most notable achievements is a modification of the Prigogine-Flory theory which allowed a deeper understanding of polymer-solvent miscibility, including the existence and nature of so-called lower critical solution temperatures. He supported his theoretical studies with particularly elegant and painstaking experimental verifications using techniques as microcalorimetry, vapour phase chromatography and infrared spectroscopy. His work was recognized by the Dunlop Lecture Award in 1985, and an Honorary Degree from l’Université Jean Monnet, St. Etienne, France in 1989. Donald was an outstanding teacher happily teaching undergraduate and graduate students with his unfailingly gentle nature allowing any and all students to participate in the class without fear of criticism. His qualities as teacher, guide and friend to many of his graduate students he directed were particularly noteworthy. As one former PhD student recounts, Donald was like a second father to him: teaching him science, but also how to be a good person. Donald’s presence will be remain strong in the hearts of his wife of 51 years, Geneviève, his two daughters Juliette et Elisabeth, his sons-in-law Michel and Eloi, his two granddaughters Céleste and Zoé, as well as family, friends, former students, community members and many others who he touched in so many ways.